Antidepressants have previously been linked to an increased risk for miscarriage, stroke and reduced effectiveness of breast cancer drugs. 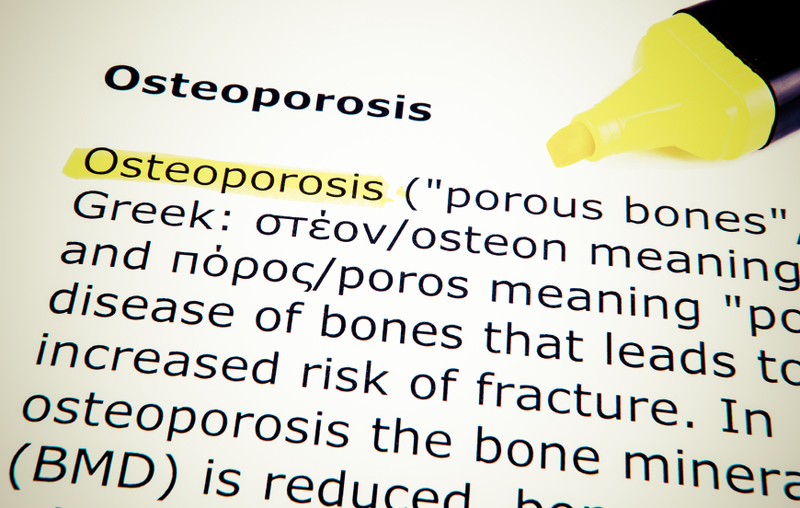 A new report shows they can also affect your osteoporosis risk. Researchers from Northeastern University in Boston, analysed data from 370,000 menopausal women over 12 years and found a side effect of taking anti-depressants is weakening of the bones and this effect appears to last for several years after women stop taking the drugs. With doctors now prescribing less HRT, or taking women off it sooner than previously due to the health risks, women tell me that they are often offered anti-depressants to cope with their menopausal symptoms. There are no figures for how many antidepressants are given to menopausal women, but it is thought that some doctors now prefer to prescribe anti-depressants rather than HRT as that can specifically increase the risk of heart problems. The researchers studied the most common antidepressants such as SSRIs, including fluoxetine, which is known as Prozac, as well as hydrobromide, oxalate, fluvoxamine, paroxetine and sertraline. SSRIs are among the most commonly prescribed drugs in England with 30million prescriptions given out last year. For many women the onset of the menopause as the hormone levels plummet does trigger mood changes and can lead to depression. If antidepressants are prescribed the researchers found that among those who took the SSRIs, the rate of fractures was 76% higher one year after starting treatment, 73 per cent higher after two years and 67 per cent higher after five years. Anxiety is also very high in women at menopause, often related to the stress experienced when dealing with severe physical symptoms, and the emotional adjustment to this often stressful new phase of life. Antidepressants can also be prescribed for a variety of conditions such as irritable bowel syndrome as well as for the more common menopausal ones of hot flushes and night sweats. There are some natural herbal remedies for depression such as St John’s Wort that are popular and the key elements in dealing with seem to be having a social circle, regular exercise or activity and someone you can talk to, a friend or a counsellor. Diet plays a role too so make sure you have a good supply of C and B vitamins as well as tryptophan-rich foods such as turkey, chicken, bananas, milk, oats, cheese, soy, nuts, peanut butter, and sesame seeds. Tryptophan can have a positive effect on stress because it is a precursor to serotonin, and a neurotransmitter, helps you feel calm. Clearly your hormones also play a part and in particular progesterone is known to help elevate mood and benefit sleep as it relaxes the nervous system. If more help is needed then Dr Jeffrey DAch – a US bioidentical hormone expert – has found that a combination cream of both progesterone and oestrogen is more effective for depression and anxiety. 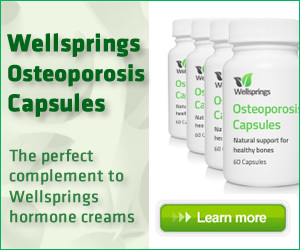 Osteoporosis is when the bones become thin and frail and break easily. Both progesterone and oestrogen are necessary for the breakdown of old bone and bone renewal and this process goes on throughout our entire lives. However most women have sufficient oestrogen naturally produced at menopause in the fat cells of the abdomen, hips and thighs and seen in the resulting weight gain at this time without having to supplement. Oestrogen can help retain old bone for longer, but progesterone is needed for actual bone building and renewal as it works by encouraging osteoBLASTS to build new bone. Because osteoporosis has no warning signs or visible symptoms you may not be aware of it until you break a bone so to ensure your bones are strong it is vital to have good hormone balance. This is particularly true if you know you have any of the risk factors for osteoporosis such as family history of it, dysmennorhea or PCOS, very low body weight, anorexia or extreme exercising.